Re-discover the Light within You! 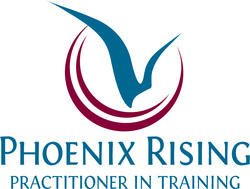 Phoenix Rising Yoga therapy is a one-on-one holistic approach that facilitates self-awareness and clarity. Please join me for a unique opportunity to explore what's happening in your body and gain insight to how this might be connected to your life. There are many opportunities in life to ask for advice or to follow directives and guidance from the outside. There are fewer structures that encourage us to listen from within in order to connect to our inner wisdom. This self-awareness creates an opportunity to live life more fully. This inspiring work is a client-centered approach that incorporates deep listening and compassionate witnessing of the PRYT practitioner. As a Phoenix Rising Yoga Therapist, I will create a safe and gentle environment for you to explore issues you may have on a physical, spiritual, or emotional level. This will be achieved through hands-on assisted yoga postures, dialogue, and breath work. "We can live in the dark, but when we choose to turn the light on there's so much more there!" Yoga therapy can open the door to change and is an opportunity for growth. About Phoenix Rising, 2011 from Jennifer Munyer on Vimeo.